San Francisco, CA--A new survey by Credible.com finds that more than 70% of Millennials are planning as much or more on holiday shopping this year than they did last year, despite their growing fear of credit card debt. They're simply doing it the old-fashioned way: buying only what they can afford and paying with cash or debit cards. To better understand how Millennials think about budgeting, credit card debt, and spending around the holidays, Credible.com polled 500 18-to-34-year-olds in the United States who carry credit card debt. More than 70% of Millennials plan to spend as much or more than they did last year, while only 30% said they plan to spend less. Even though most respondents know they’ll spend as much or more than last year, nearly half of them (47.8%) don’t seem to have a budget. 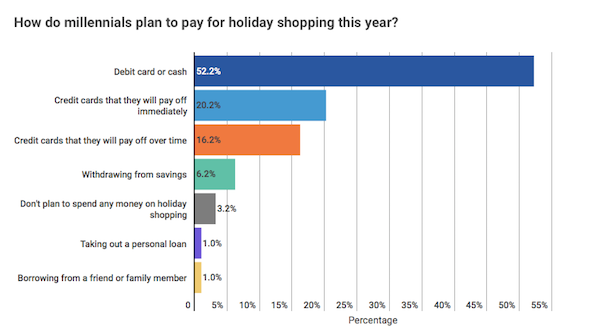 Eight out of ten respondents (81%) who plan to spend money holiday shopping don’t intend to borrow money, or will repay new credit card debt right away. More than half (52.2%) will pay for their purchases with debit cards or cash. However, a very small segment of millennial holiday shoppers (6.2%) say they plan to dig into their savings to pay for their gifts. Haunted by the Ghost of Christmas Present(s)? 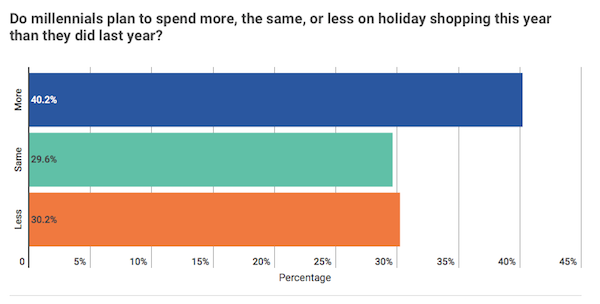 More than 70% of respondents surveyed said that they planned to spend just as much or more on holiday shopping than they did the previous year. This is despite that fact that an overwhelming number of respondents stated that credit card debt was the biggest fear in their lives, even scarier than the threat of war, or even death. 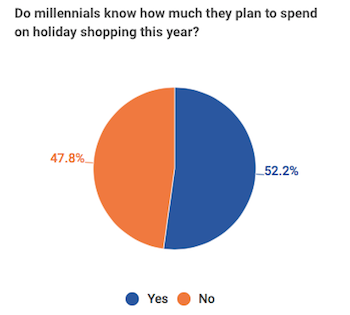 Worryingly though, budgeting seems overlooked, as less than half of all respondents said they know how much they plan to spend on shopping this year. Credible's advice: "Creating and even sticking to a budget won’t make you immune to holiday debt as we all know how those little, last minute purchases can add up. But it's crucial to set a limit for yourself before you hit the stores, because if you don't, we know what you're getting for Christmas this year. It's debt." Debt seems to have become part and parcel of holiday shopping, with 16% of Millennials planning to lean on their credit cards to finance their spending. But it's not all doom and gloom—eight out of 10 (81%) respondents who plan to spend money for holiday shopping seem to be shying away from borrowing, and plan to pay it off immediately if they do. Credible also cautions that store credit cards often carry high interest and suggests seeking cards with rewards instead. 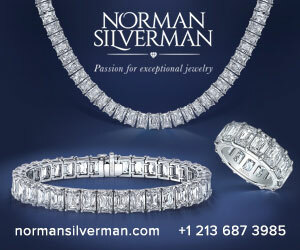 Take advantage of holiday sales: Planning is key if you want to get the best prices this holiday season. Make a list of potential gift items and start tracking them early. 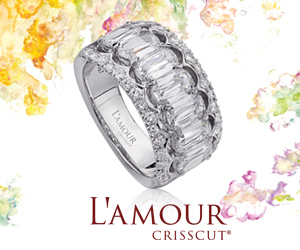 Do you plan on spending more, the same, or less on holiday shopping this year than you did last year? Do you know how much you plan to spend on holiday shopping this year? How do you plan to pay for your holiday shopping this year? The survey was conducted through Pollfish on October 24, 2017 as part of a study to illustrate Millennials' holiday spending behaviors. The original article, which is targeted to a consumer audience, was published on Credible's blog and can be seen here. Reprinted with permission. Top image: Credible.com. Credible.com is a multi-lender marketplace that allows borrowers to receive competitive loan offers from its vetted lenders. Credible empowers consumers to take control of their finances. After answering a few questions about themselves, consumers can receive rates without affecting their credit score or sharing their personal information with lenders until they're ready to proceed with an offer. Credible is fiercely independent and committed to delivering fair and unbiased financial solutions for Millennials.